The PCs are finally geared up (or angry enough) to take on the dragon! It's gonna be a big event in your campaign (because: DRAGON!!!) and you want the treasure hoard to be worthy of it. How do you make it something truly special without making it stupidly huge? How can you make quality compensate for the fact that you're not actually giving your players literal hillocks and ravines of coinage? The dragon hoard par excellence is probably still Smaug’s, and it’s heaped with the story of the dwarvish kingdoms and their alliances and rivalries with their neighbors. Describing the treasure is one of the few times you have the undivided attention of everyone at the table, so it’s a great time to sprinkle (not dump) some exposition on your players. Coins bearing the face and name of the second Warlock-emperor of the Melechan dynasty (worth ten times their mere weight value to collectors), arrows crafted by elven fletchers to slay the Arch-lich Kazshet, or the gilded toe-bone of the poet-scholar St. Gweniach will draw a lot more attention to the history of your setting than any dry dissertation by long-bearded scholars or sleepy ents. Focus on bits of history that are or will be important to your campaign’s current events, and especially the active interests of your players and their PCs. 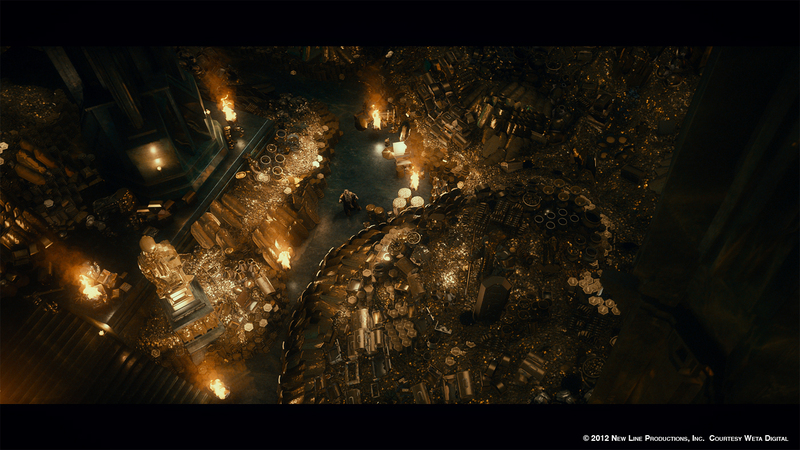 Smaug’s hoard contains the Arkenstone, a wondrous gemstone that bears more than a passing resemblance to the doom-fraught Sillmarils. Perhaps the Temple of the Risen Sun doesn’t think a reliquary of St. Gweniach belongs in the hands of murderhobos. Perhaps Kazshet’s agents infiltrated the circle of elven fletchers to add a curse to the enchanted arrows. Perhaps, as with the Arkenstone, there are cultural or personal or political ramifications to the ownership of some of that treasure. One of the things that makes The Hobbit stand out from generic fantasy fare is that there are exciting and fascinating consequences to the slaying of Smaug. So it can be with the dragons in your campaign. This is a great time to make callbacks to the backgrounds of the PCs or events that happened earlier in the campaign. The paladin’s great-grandfather’s sword doesn’t need to be in the hoard, but there might be a sword that’s marked with the rune of a company of knights he once rode with, or the champion’s prize from a tourney the great-grandfather competed in. There might be a treatise on abjuration magic written by the wizard who was a mentor to the wizard PC’s teacher. There might be some piece of jewelry or other objet d’art that a villain vanquished by the PCs early in their careers sent as tribute or bribe to the dragon. Callbacks like this are a great way to make the players feel like their characters fit into the setting. It wasnt a dragon's hoard though. The treasure belonged to others. The dragon didnt burrow into the mountain like an ant eater digging into an ant hill and breath fire on the rock to melt the copper and gold out into a pool on the cave floor. Western dragons never create wealth, only steal and sequester it. That's the raison d'être for dragons in Western lit. The weird thing about Smaug's story is that the original owners got their stuff back when he died. 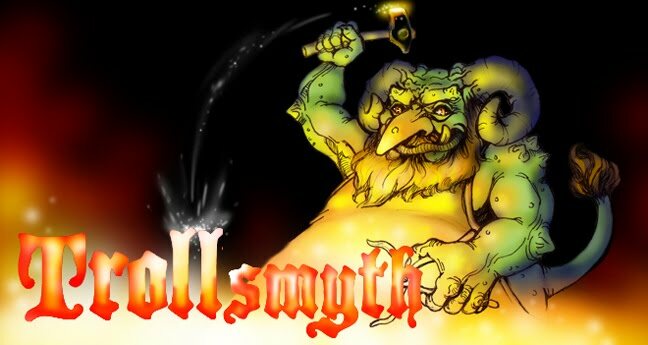 This blog is NOT supported by Dragon’s Lair Comics and Fantasy®. They do, however, pay me to write on their blog about games, books, toys, etc. that they sell. If you would like to support this blog, please consider using this link while shopping at Amazon. Thanks!